Loved working with both Don & Theresa!!! They were willing to go above and beyond our expectations in finding a great home at a great price. 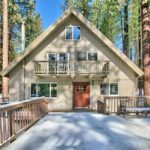 They were able to show us properties around Lake Tahoe that were both in California and Nevada since we weren’t sure where around the lake we wanted to be. We ended up in Nevada and have been enjoying the purchase of our home for almost 10 years.